I’ve always admired the showmanship and spectacle of professional wrestling but was never what one would call a “fan.” Sure, I know the big names and was old enough to remember when people like Hulk Hogan and Randy “Macho Man” Savage were big enough to get major ad deals. But I did not spring for the recently aired seven hours of Wrestlemania and would have to admit that sounds like a LOT. (I’m not sure anything should be seven hours.) I mention all of this as background to my experience with Viceland’s docu-series “Dark Side of the Ring.” You could summarize my knowledge as a little more than nothing but not as much as those who paid for Wrestlemania. And I thought "Dark Side of the Ring" was excellent. 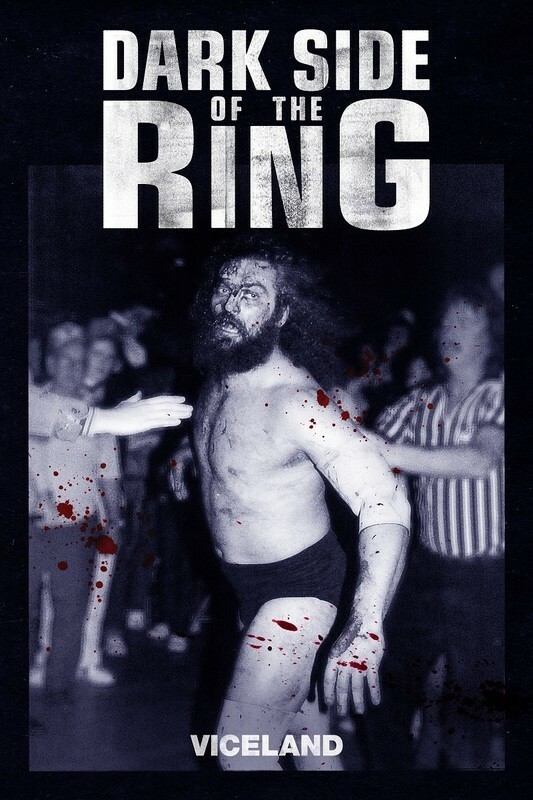 The producers of “Dark Side of the Ring” employ a few more docu-series tools than I usually like—shadowy figures in recreated footage, “serious” music on the score—and one could argue that they judiciously avoid some the big question of why professional wrestling attracts so much violence, injustice, and even death. Having said that, taken as individual stories, these are riveting little windows into a world in which larger-than-life figures in the ring often had even crazier lives outside of it. Most of all, they’re incredibly well-told, often by the people who lived them. The directors of “Dark Side of the Ring” know that these people are half-athlete and half-storyteller, and so they generally just give them the freedom to be the latter, whether they’re in-the-ring performers like Bret Hart and Jake “The Snake” Roberts or legends around the sport like Jim Cornette or Eric Bischoff. These men and women know how to tell a story and “Dark Side of the Ring” has six fascinating stories to tell. The two that are the most interesting are the first to air—“The Match Made in Heaven” and “The Montreal Screwjob.” The former is about Randy Savage and Miss Elizabeth; the latter is about, well, it’s right there in the title. They’re compelling because they both reveal how blurry the line can become between fiction and reality. Randy Savage and his wife Miss Elizabeth often took their own personal issues into the ring, which would then, of course, impact their home lives. That they both passed away at a young age only adds poignancy to the whole thing. “Screwjob” is the name for a famous match in Montreal in which Bret Hart was blindsided. If you think all of wrestling is merely scripted, this is a great chapter to highlight what happens when everyone doesn’t have the same copy of the screenplay. And both of these chapters illustrate formative events in wrestling history—the popularity of Macho Man, how Miss Elizabeth’s persona changed with the sport, and the way Vince McMahon arguably stepped on Bret Hart to climb the ladder. The other four episodes range from good to great, including the stories of the murder of Bruiser Brody, the tragic legacy of the Von Erich family, the death of Gino Hernandez, and the controversy surrounding The Fabulous Moolah, a famous female wrestler who some have accused of pimping the girls she was training. Again, I sometimes wished there was some deeper probing as to why violence seems to thrive in the shadows of wrestling, but I was never anything less than entertained. I hope they get a chance to make at least six more. And perhaps the most telling thing about the impact of “Dark Side of the Ring” is that I paid a bit more attention to this year’s Wrestlemania than I would have before watching this series. There’s something engrossing about this world of exaggerated personalities and melodramatic storylines. It makes for great entertainment, and “Dark Side of the Ring” proves these complex, often harrowing stories don’t always end when the bell rings. Entire season screened for review.